Johns-Putra A, Parham J, Squire L (eds. ), 2018. Literature and Sustainability: Concept, Text and Culture, Manchester University Press. In this essay, Lucy Bell engages with the texts and practices of Dulcinéia Catadora to put into question certain orthodoxies around sustainability – particularly the much-vaunted ‘three pillars of sustainability’ – as well as certain assumptions underlying a crucial ecocritical debate known as ‘new materialism’. 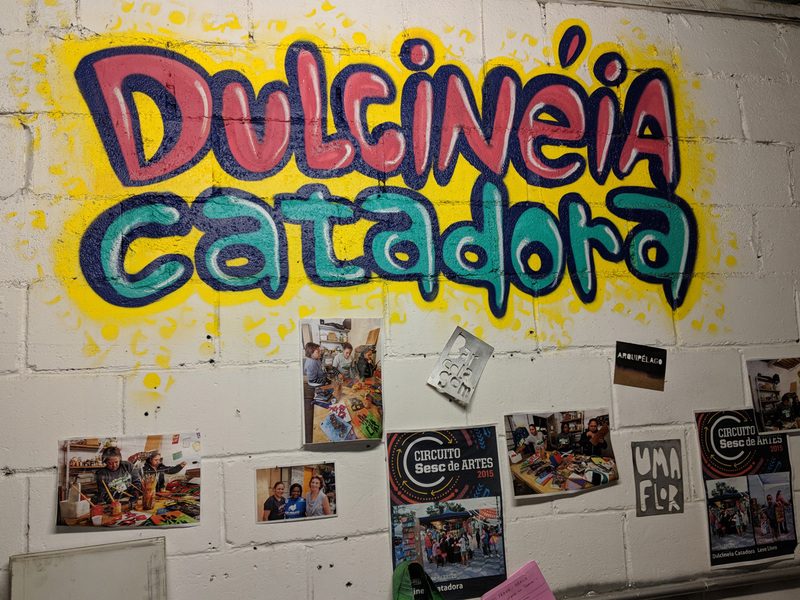 Basing on readings of text by Dulcinéia (Catador, 2012) and the socio-material context of the waste-picking cooperative in which both this book and Dulcinéia Catadora are set – she argues that Catador foregrounds a division between ‘rich’ and ‘poor’ belly sustainability. This offers a necessary corrective which highlights the fact that, especially in the context of the global South, the interconnection of social and economic with ecological sustainability is (for all its problems) necessary. Latin American editoriales cartoneras are small, independent publishing houses that make their books by hand out of recycled cardboard and aim to sell them at prices lower than those of large publishing houses. This cultural movement first began in Buenos Aires in the wake of the 2001 economic crisis, during which unemployment rates soared and people found themselves homeless from one week to the next. One of the most visible impacts of this deep recession was the appearance of thousands of cartoneros, who took to the streets to collect scrap materials to sell on to individuals or recycling companies. 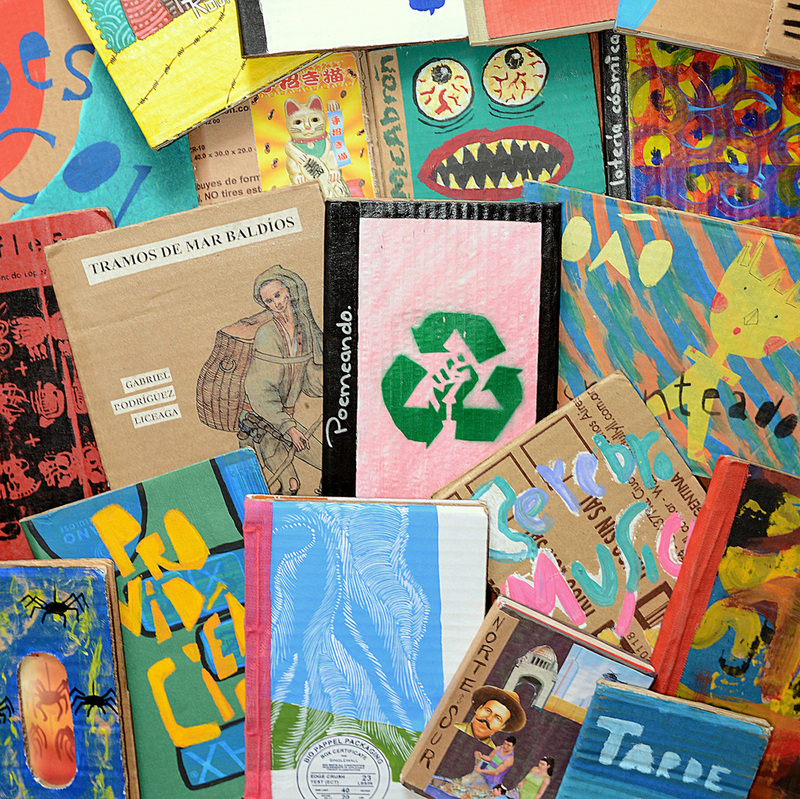 In 2003, the founding members of Eloísa Cartonera began buying cardboard from the cartoneros at five times its market value to produce hand-painted books. Since then, the concept and practices of cardboard publishing have been adopted and adapted all over Latin America: in South America (Chile, Peru, Uruguay), but also as far North as Mexico, which now has the most editoriales cartoneras (approximately twenty active projects). Their shared identity as cartoneras conceals a great deal of different aims – literary, social, cultural, political and economic. A number of affinities, however, tend to unite them: the resistance to large commercial publishers that follow the logic of the capitalist, market economy; the desire to circulate the works of younger, lesser-known, more avant-garde authors; the need to reach a wider and different public in countries where books are very expensive and reading is often regarded as the activity of the ‘privileged few’. Though many cartonera organisations collect the recycled materials themselves, others, like Eloísa, have strengthened their links with waste pickers or recycling cooperatives. In one case in São Paulo, which I shall explore in depth here, the publishing workshop and processes have been fully integrated into an existing recycling plant. Why examine editoriales cartoneras in the context of a collection on literature and sustainability? Firstly, it is an intriguing instance of literary production in which the so-called ‘three pillars of sustainability’ – the environmental, the social and the economic – are invoked, intermeshed and transformed not – or not only – within the texts themselves, but most importantly in the processes of production. Secondly, it is a cultural movement in which the man-made material is a central player: cardboard is the element that unites these small publishers, who work in different countries, contexts and conditions. In what follows, I shall examine the interplay between the human and the non-human, the social and the material, the economic and the environmental in the cardboard publishing movement. My contention is that, since the cartonera movement is one in which social, environmental and economic factors are intermeshed, it renders problematic the concept of sustainability as three distinct ‘pillars’. The ‘three pillars’ – suggesting solid, separate columns supporting a larger structure – were promoted at the Rio Earth Summit in 1992. The logic of the model can be seen in the structure of Agenda 21, the action plan that resulted from the summit (United Nations, 1992), which is divided into two sections: the first, ‘Social and Economic Dimensions’, deals with issues such as reducing poverty, changing patterns of consumption, promoting health; the second, ‘Conservation and Management of Resources for Development’, focuses on environmental challenges like protecting the atmosphere, reducing deforestation, controlling pollution, and managing radioactive waste. A decade later, the concept of the three pillars was adopted in the 2002 Johannesburg Plan of Implementation (JPOI), which aimed to ‘promote the integration of the three components of sustainable development – economic development, social development and environmental protection – as interdependent and mutually reinforcing pillars’ (United Nations 2002: 2). In spite of notions of interdependence and integration, the three components remain distinct. In fact, the UN continues to define sustainable development in terms of ‘three pillars’: ‘economic development, social development and environmental protection’ (United Nations 2010). This model has been recurrent in the discourse of, and scholarship on, sustainability over the last two decades, though there has been an increasing awareness of the need to integrate the three components. Sometimes the ‘three pillars’ take on other guises, like the prominent idea of the ‘triple bottom line’ (TBL). This term was coined in 1994 by John Elkington, the founder of a British consultancy called SustainAbility, and taken up widely following the publication of Cannibals with Forks: The Triple Bottom Line of 21st Century Business in 1997. TBL refers to a corporate model which demonstrates how businesses can – and must – thrive not only by generating profit but also by protecting the environment and fostering social justice. Alternative models have of course been proposed. Some have suggested the need for a fourth dimension: in 1997, the German Wuppertal Institute reformulated the principles of sustainability as a prism in which the fourth triangle is the ‘institution’ (Dalal-Clayton & Sadler 2014, 54); in 2010, the Committee on Culture of the UCLG (United Cities and Local Governments) asked for culture to be recognised as the ‘fourth pillar’ of sustainable development’, as drawn out in the Agenda 21 for culture (2008). Others have sought to represent the model of sustainable development as an egg, as concentric circles, as interlocking circles, as a pyramid, and so on. One way or another, though, these models are all based on the possibility of differentiating between human and non-human, cultural and natural. This possibility has been powerfully challenged in an emerging branch of the environmental humanities known as ‘new materialism’ (a concept coined by Manuel DeLanda and Rosi Braidotti in the 1990s) headed by scholars like Stacy Alaimo, Karen Barad, Jane Bennett and Nancy Tuana. Although their recent works diverge in many ways, they all call for a more nuanced understanding of the relationship between the human and non-human, and for an acknowledgement of the agency of matter – that is, physical substance, whether ‘naturally’ occurring or man-made. Jane Bennett’s theory in Vibrant Matter (2010) – which derives from a long lineage of materialist philosophers from Democritus and Epicurus, through Spinoza and Thoreau, to Deleuze and Guattari – is that non-human things can ‘act as quasi agents or forces with trajectories, propensities, or tendencies of their own’ (viii), and that they constitute actants in the web of forces that produce political situations or problems. Tuana (2008) views Hurricane Katrina as a call for the urgent need to acknowledge the viscous porosity of the human and non-human world, the natural and the social (‘viscous’ because these elements are neither solid nor fluid, but rather something in between) (193-4). She argues the necessity of an ‘interactionist ontology’ to understand a phenomenon that resulted from a complex interaction between ‘natural’ and ‘man-made’ factors – low pressure and warm ocean temperatures, but also deforestation, industrialisation and climate change – and whose material impacts are inseparable from social issues of class, race and poverty. Alaimo, for her part, proposes the notion of ‘trans-corporeality’ as a theoretical model that allows us to rethink agency beyond the sphere of the human, to understand ‘the often unpredictable and unwanted actions of human bodies, nonhuman creatures, ecological systems, chemical agents, and other actors’ (2010, 2). Trans-corporeality is defined simply as the movement across bodies, but challenges us to delve into the complex and often disturbing material interconnections between human body and more-than-human world. Her thinking – like that of Bennett and Tuana – undermines the separability of the ‘three pillars of sustainability’ since it draws attention to the ‘often invisible, but nonetheless material, flows of substances and forces between people, places, and economic/political systems’ (9). In a more recent article, Alaimo engages with the discourse of sustainability from a new-materialist standpoint. She critiques the standard definition of sustainable development from the 1987 Brundtland report – development that ‘meets the needs of the present without compromising the ability of future generations to meet their own needs’ (United Nations 1987). For Alaimo, this oft-quoted definition reveals an overarching anthropocentric logic, since the ‘generations’ are normally interpreted as human, and the non-human world is reduced to a resource for meeting human needs (2012: 562). The prevailing thinking on sustainability, from this perspective, is counter-productive insofar as it epitomises a technocratic, scientific epistemology that separates human selves, needs and practices from non-human environments, resources, and problems. Accordingly, she suggests that the role of the environmental humanities is to ‘formulate more complex epistemological, ontological, ethical, and political perspectives in which the human can no longer retreat into separation and denial or proceed as if it were possible to secure an inert, discrete, externalised this or that’ (563). From this perspective, the discourse of sustainability can only be productive if it is built not upon binary thinking that opposes non-human environment with human society, but rather from a new-materialist perspective in which the trans-corporal flows between the human body and the environment are acknowledged (Alaimo), matter is appreciated in all its vibrancy and agency (Bennett) and phenomena come into being through the interaction between social, biological, natural and human-made components (Tuana). In what follows, the Latin American cardboard publishing movement will be read as the result of a complex interaction between social, material, environmental and economic components. This will be illustrated through an in-depth analysis of a publication by the São Paulo-based publishing cooperative Dulcinéia Catadora entitled Catador (Waste picker), a collage of texts about the recycling cooperative Cooperglicério of which Dulcinéia is part and in which its workshop is located. As we shall see, the physical substances with which the waste pickers work in this collection and the practices it represents – the waste collected from streets and rubbish tips, the air and noise pollution by which they are surrounded, and of course the cardboard that they collect – are non-human materials that are humanly created. From the outset, then, the practices illustrated in this collection problematise the separation between material and social, environmental and human in a way that both resonates with, and challenges, new materialist thought. Whereas Alaimo, Bennett and Tuana blur these boundaries in order to raise the standing of the more-than-human world, the catadores use this liminal zone as a site of social denunciation and resistance: they highlight and critique their connection with the waste materials they collect, and seek to (re)generate their collective identity through the regeneration of materials. The connection between waste and waste picker will be brought into dialogue not only with new materialist thought, but also with Zygmunt Bauman’s theory of ‘wasted lives’ (2004). For Bauman, the supposedly forward-moving trajectory of modernity – and the relentless forces of order-building and economic growth it entails – has brought about a division of society into producers and consumers on the one hand, and outcasts (job-seekers, asylum seekers, beggars, migrants, scavengers, etc.) on the other. The latter lack the skills, means or opportunity to participate in labour and consumer markets, and therefore become marginalised from society, inheriting the properties of waste materials, of things deemed ‘useless’ and disposable (Bauman 2004: 12-13). In the English language, ‘to be “redundant” means to be supernumerary, unneeded, of no use’ (12). ‘Redundancy’, he points out, ‘shares its semantic space with “rejects”, “wastrels”, “garbage”, “refuse” – with ‘waste’ and ‘the destination of waste is the waste-yard, the rubbish heap’ (ibid.). This division between valuable and worthless, included and excluded, is not a natural one, but rather a barrier erected by humans as a strategy to ensure the smooth running of the status quo. Bauman’s theory is clearly grounded in the discipline of sociology and has as its principal concern the connection between economic progress and social inequalities. In the introduction, he makes his disciplinary position clear by explaining that his point that ‘the planet is full’ is ‘not a statement in physical or even human geography’, but ‘in sociology and political science’ (5). However, it is noteworthy that the notion of ‘wasted [human] lives’ is derived from that of material waste. Indeed, he opens his sociological study by presenting the human inclination to produce waste – which correlates with the heightened consumerism that characterises modernity – through the image of Leonia from Italo Calvino’s Invisible Cities (1972). Leonia’s inhabitants have a thirst for novelty that creates ‘a fortress of indestructible leftovers’, which dominate the city ‘on every side, like a chain of mountains’ (cited in Bauman 2004: 2). And this image functions as a powerful illustration of the elaborate theory of ‘human waste’ or ‘wasted humans’ developed throughout this work. To a certain extent then, we shall see that Bauman’s theory resonates with new materialist thought insofar as it shows the connection between human and non-human waste in the workings of modernity. Working with waste, either delving into public bins or diving into municipal dumps, the urban scavenger might be seen to epitomise the ‘wasted life’, associated as he or she is with the waste he or she collects, and suffering from the same rejection, exclusion and invisibility. However, my contention is that the strategy of exclusion condemned by Bauman is transformed into strategies of inclusion by the Cooperglicério waste pickers and publishers – in their activities, their productions and in the book itself, which has a performative function. By adding value to waste materials, they not only valorise recycling processes but also their own activities, livelihoods and lives. Since it encompasses a vast geographical area and a wide range of motivations, it can be difficult to understand what ties the cartonera publishing movement together. As suggested by the names of the publishers – Eloísa Cartonera, La Sofía Cartonera (Argentina), Sarita Cartonera (Peru), La Verdura Cartonera, La Cartonera Cuernavaca (Mexico), and so on – the most obvious shared element is the material used to make the books: recycled corrugated cardboard (‘cartón’ in Spanish), used because it is widely available, but also relatively malleable, solid, durable and lightweight. Yet the adjective ‘cartonera’ is ambiguous, since it refers not only to the material cartón, but also to the cartonero figure, the cardboard collector or waste picker who played a central role in the formation of the first cardboard publishing organisation Eloísa Cartonera, and continues to work directly with some publishing organisations (like Eloísa and Dulcinéia Catadora) to this day. 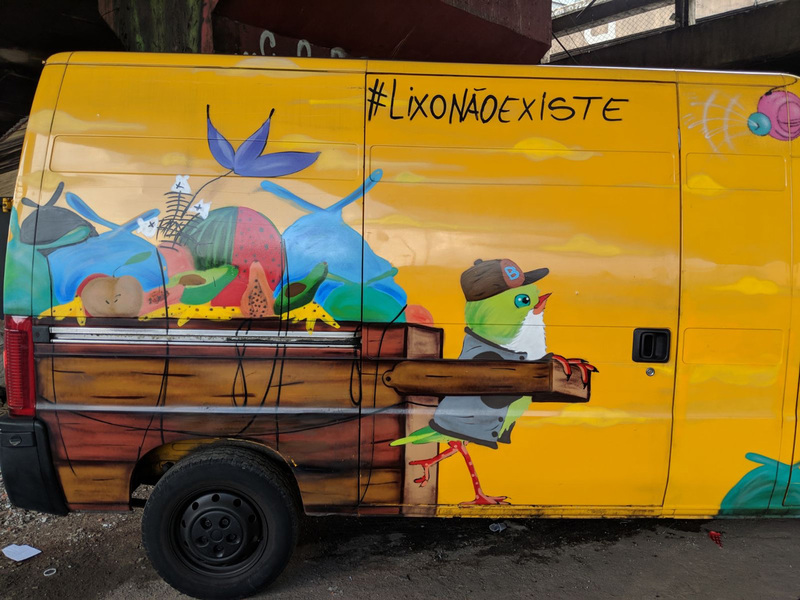 The term cartonera therefore binds together the human and non-human, encompassing the complexity of a publishing movement connected not only with cardboard materials and cartonero workers, but also with broader socio-economic contexts of unemployment, poverty and social exclusion. This semantic ambiguity is attested by the different names taken on by cardboard publishing projects in Portuguese-speaking countries: whereas in Mozambique, Kutsemba Cartão (Kutsemba Cardboard) identifies with the cardboard material itself, in Brazil, Dulcinéia Catadora and Katarina Katadora identify themselves with the figure of the waste picker (Catador in Brazilian Portuguese), reflecting the fact that recycling, particularly in the developing world, is not only an environmental issue, but also an economic and social one. Waste disposal and recycling clearly pose a huge environmental challenge on a global scale, but some of the problems are magnified in an area now referred to as the ‘global South’. According to Martin Medina (2005), although a large chunk of municipal revenues are spent on municipal solid waste, most Latin American municipalities collect only a fraction of it – in many cases between 50 and 80%. Preoccupied as their local governments are with extending waste collection, most Latin American cities do not have formal recycling programs. In Brazil, for example, over half of all solid disposable waste is inadequately disposed of in open-air dumps and only 32% of municipalities have any form of segregated waste collection scheme (PNSB, 2008). And as Medina explains, methods of disposal and recycling that are appropriate in the developed world can be completely inappropriate when applied to cities in the developing world. This environmental situation, combined with high levels of poverty and an abundance of unskilled workers, has led to a wide proliferation of informal recycling activities in Latin America and the Caribbean which, according to recent estimates, are a means of survival for between 400,000 and 4 million people (IADB, 2014). These informal waste pickers are to thank for a large proportion of the recycling activities undertaken in Latin America. In Brazil, for example, though only about one third of municipalities have any form of waste separation scheme, the majority of certain materials get recycled: between 70 and 80% of cardboard and 98.3% of aluminium cans (making it the world-leader for the recycling of this particular material) (PNSB, 2008). This disparity is due to the fact that the majority of recycling activities are carried out informally by waste pickers, either working individually or in cooperatives, for a small payment. The social aspect of the cardboard publishing movement has gone far beyond the context of waste picking, however. A key impetus behind the movement is to make books accessible to more people – to create new reading publics. In most Latin American countries, paperbacks are very expensive and minimum wages are very low, and the price of a book can represent up to a fifth of a monthly wage. This is one of the reasons behind the lack of a well-established reading culture in these countries in spite of relatively high levels of literacy. In Mexico, for example, a 2012 survey found that 54% of Mexicans do not read – even though only about 7% of the country is illiterate (ENL, 2012). Editoriales cartoneras sell more affordable books by reducing the costs of production in different ways: they use cheap, recycled materials; their workforce, apart from the cardboard collectors themselves, is largely composed of volunteers; and authors donate their works to them free of copyright costs. The cost reduction is a significant gesture towards dissolving the barriers that render literature exclusive and elitist. The motivation for recycling materials, therefore, cannot be separated from the desire to open literary production to a wider reading public. It should also be pointed out that the process of up-cycling (increasing the value and quality of the original object) is crucial to the economic self-sustainability ofi>cartonera projects. For all cartoneras, financial autonomy is paramount. Aurelio Meza, for example, affirms that the organisation he has been involved in, Kodama Cartonera (Tijuana), is financed by funds from the participants’ teaching and research. This is because of the belief that ‘state financing for an independent project means that it gradually loses its independent quality (economically, creatively and ideologically)’ (Meza 2014). In the same vein, Eloísa runs off the proceeds of its sales, and on several occasions its members have turned down governmental financial backing for micro-businesses in order to retain financial independence. Turning a piece of discarded cardboard into an artistic object and turning a piece of writing (which may have been rejected or be deemed ‘unfit for publication’ by a large publishing house) into a publication increases the value of the original materials, generates a profit, and helps publishers maintain their financial autonomy. Value, here, has multiple simultaneous facets: environmental (referring to the importance of recycling in the context of dwindling resources and problems of litter, landfill sites and contamination); social (relating to the worth and position of waste pickers in Brazilian society); and economic (indicating the financial value of the collected materials and end-products). For this organisation, the process of recovering waste materials from streets, tips and bins is inseparable from the activity of promoting social inclusion and artistic creativity. Transforming a discarded object into a useful, valuable object involves dismantling the barriers between inside and outside that are erected by humans to create social and cultural distinctions and exclusions. This transformation, therefore, also entails bringing into circulation writers who have not yet been published and selling the books to those who cannot normally afford them. In order to dig more deeply into socio-material interactions in the cartonera movement, I will now turn to a text directly concerned with these issues: Catador (Dulcinéia Catadora, 2012). 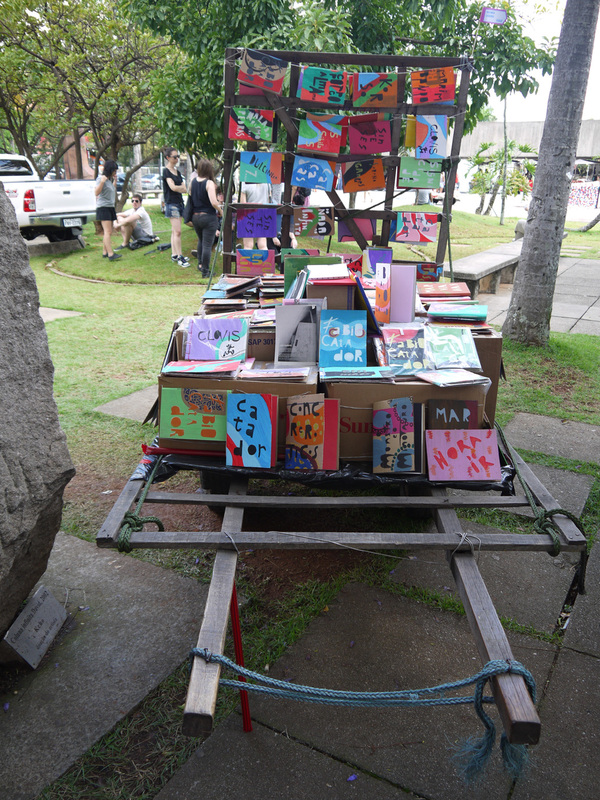 The environmental and human aspects of recycling are absolutely central to this project: it was originally set up in 2007 by the artist and translator, Lúcia Rosa, and the son of a waste picker, Peterson Emboava; it is run principally by waste pickers from the recycling cooperative Cooperglicério and their relatives; and the books are now produced in a small office on that recycling site. The book consists of a selection of interviews with members of Cooperglicério, interspersed with other texts by local collaborators (a rap artist, a filmmaker, a graffiti artist, the development manager of a local public health institute and an academic from the University of São Paulo), all reflecting on the work, lives and desires of the catador. It was produced collectively by the members of the Dulcinéia cooperative – Ana d’Angelo, Andreia Ribeiro Emboava, Eminéia Silva Santos, Elizângela Juventino, Lúcia Rosa and Maria Dias. In their introduction, the writers present the collection as a ‘book of tales, memoirs and images of the Glicério Cooperative’ (Dulcinéia Catadora 2012: 7). The story of the cooperative is told in a series of first-person responses to interview questions. Structurally, the book is not separated into the different lives of the waste pickers, but rather into the different questions asked by the coordinators. In that sense, it might be viewed not as a collection of interviews, but rather as a collective autobiography of the cooperative – thus opening up the genre of biography beyond the writing of an individual’s life to that of a whole community. Moreover, this collective encompasses not only human lives, but also nonhuman materials and spaces. 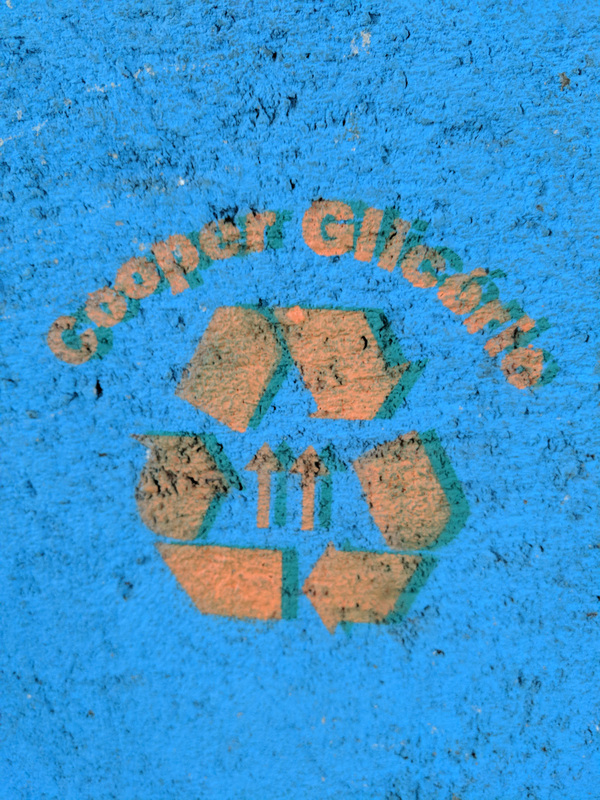 The Glicério Cooperative refers both to the organisation run by the catadores and to the site on which the waste is sorted: the recycling plant underneath a highway flyover in the Liberdade area of São Paulo. The environment in which, and with which, the waste pickers work is therefore inseparable from their lives and livelihoods. Hence the photographs in the collection (the ‘images of the Glicério Cooperative’) are of the Dulcinéia waste-pickers-publishers-interviewers-writers, of the site, and of the collected waste materials (at various stages of the sorting process). The publishers are pictured on the Glicério site, Eminéia with her baby, Andreia painting a cardboard cover with waste in the background and Maria Dias in front of bin bags and waste trucks. The flattening effect of the photograph highlights the interconnection between human bodies and physical environments. In terms of graphic design, an image of torn cardboard accompanies each section, either as a margin or as the background, which constantly reminds the reader of the cardboard cover of the book they are reading – and holding. As we shall see, the texts in this collection, like the images, centre around the relationships between humans (those who produce waste and those who collect it), non-human materials (the waste itself or the recycled object) and spaces (the road along which the waste picker’s cart is pulled or the recycling cooperative in which the rubbish is gathered). Albeit indirectly, the supposed ‘three pillars’ of sustainability are invoked in a way that makes it very difficult to uncouple environmental issues of waste and recycling from social problems and economic processes. The social issues associated with the activity of waste picking are a recurrent theme in Catador. The introduction by Maria, Andreia, Elizângela and Eminéia underlines this: ‘People show indifference and even a lack of respect when they see a cart in the middle of the road’ (7). This cart is a synecdoche for the rubbish that is piled into it and for the waste picker who pulls it; the disregard and disrespect with which it is treated is thus simultaneously for the waste picker and for the waste itself. The theme of marginalisation is explored further in the rap song ‘Cata as dores de papel’ by local rap artist Fábio Prestes – a song that effectively becomes a poem within the written body of the text, though the reader is referred to the song through a youtube URL (https://www.youtube.com/watch?v=T8IlAfwmMzE). A play on words meaning ‘Waste paper pickers’, ‘Paper waste pickers’ and ‘Collect paper pains’, the title cleverly combines the different intermeshed concerns of the song, notably the merging of human subject and waste object, and the physical suffering of the catador. Indeed, the process of becoming waste is enacted in the song’s movement from simile (and assimilation) to embodiment. In the first half, the first-person voice affirms: ‘I’m in the streets crushed between cars/ I am like [or I look like] the cardboard that was thrown into my cart’ (22). ‘Pareçer’ means to resemble both in appearance (to look like) and in nature (to be similar to, to be like). In the first sense, the waste picker’s physical appearance is compared to that of cardboard, suggesting that he is thin, due to poverty and hunger, and dirty, through exposure to car fumes and contact with unseparated rubbish. 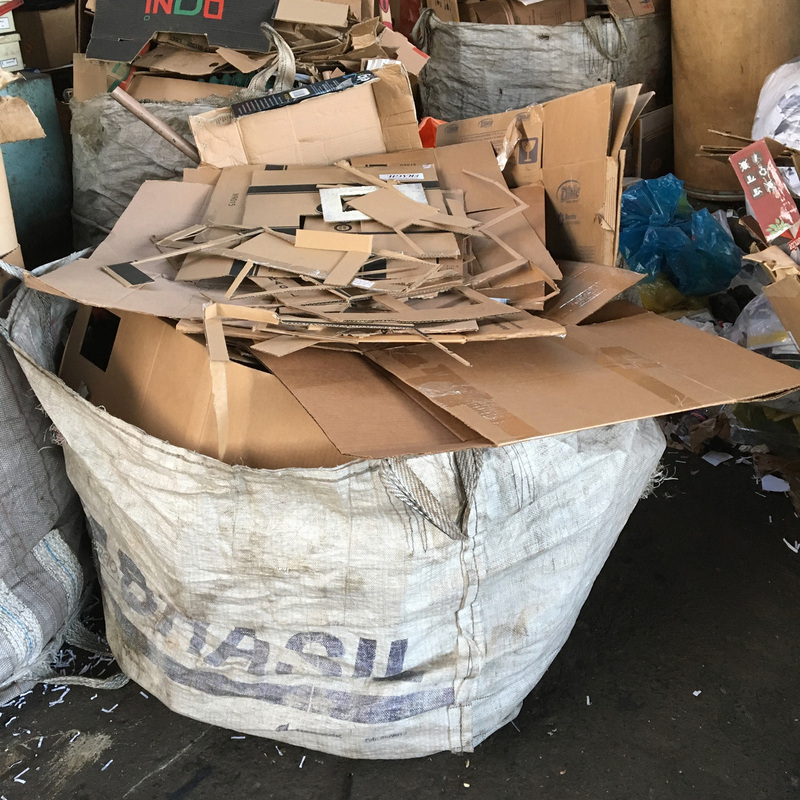 In the second sense, the verb turns the cardboard into a simile for the figure of the waste picker, whose whole being becomes connected with the waste materials which he collects – though the simile still allows some distinction between the discarded cardboard material and the waste picker who salvages it. Later, the titular wordplay reappears in the body of the song: ‘Cata as dores de papel’, that is ‘collectors of paper’ and ‘collectors made of paper’. The semantic undecidability here fuses the two meanings: the human collecting waste and the human who embodies or incorporates it. […] your limit is the corner and mine is far away (22). Social barriers are materialised by man-made physical barriers here: the waste pickers are separated from ‘worthy’ or ‘valued’ citizens by gates, barbed wire, walls, windows, limits and corners, but also by the lens of the security camera and the television screen. The contact between the inhabitants of the gated residences (who discard their waste) and the catadores (who pick up their waste) is reduced to the reflection off a television screen. Implicit in the security camera and the guard house is not only the exclusion, but also the criminalisation of the catador, and thus the barbed wire and gates suggest those surrounding a prison. On one level, these connections are semantic: while Bauman’s theory is underpinned by the etymological and semantic connections between redundancy (unemployment) and garbage, Prestes’s song/poem is based on wordplay. On another level, these semantic connections reproduce deep ontological connections: the process of becoming waste that occurs throughout the song/poem might be regarded as an enactment of what Tuana terms an ‘interactionist ontology’ (2008: 188), meaning that beings are not self-enclosed entities, but rather ever-unfolding products of their interactions with other beings and the more-than-human world. Humans become waste through complex interactions with non-human phenomena, through the merging of human identity and non-human waste, social rejection and physical exclusion, economic forces and material factors. In Prestes’s song/poem, what Tuana terms the ‘materiality of the social’ (210) is inseparable from the sociality of the material, since social categories become fused with material categories and social barriers become inextricable from physical barriers. Time and space become vast, empty territories marked only by the pangs of hunger and the pain of burning feet. The song’s unrelenting pace reproduces the symbiotic relationship between the external world of the city and the internal world of the body, that is, what Alaimo terms ‘trans-corporeality’: the road ironically referred to as the ‘walk of fame’ fuses with the raw pain of the burning feet; the urban wasteland (suggesting an isolated rubbish dump or empty, early morning roads) merges with the empty stomach and the unending hunger (the internal body clock that substitutes any time schedule). Furthermore, the waste picker’s extreme hunger (which makes him or her ‘paper thin’, as suggested above) hints at the fact that he or she might be ‘wasting away’, starving, and ultimately dying, thus evoking another way in which humans merge with the nonhuman – through the organic process of becoming waste. Yet whereas Alaimo’s notion of trans-corporeality ‘denies the subject the sovereign, central position’ (2010: 16), Prestes’s song is focused on human suffering, on the constant, cumulative, invisible pain of the burning feet through the contact with tarmac, concrete or earth, from pushing a cart on foot while others drive past in cars and on motorbikes. This pain cannot be tied down to a single time and location, but rather expands across time and space, hence the ‘enormous present’ and the loss of any ‘notion of a schedule’. Another aspect of the suffering undergone by the waste picker in the text is that which results from his contact with noise and air pollution: ‘I survive another day in the midst of the pollution,/ directing the orchestra of beeping horns…’ (22) As suggested by the verb ‘survive’, the life of catadores is precarious, not only because they have to dart between fast-moving vehicles, but also because of the fumes that penetrate their bodies – skin, eyes, nose, throat, lungs – causing burning, irritation and disease. Prestes’s depiction of the waste picker underlines the ‘substantial interconnections between humans and the wider world’, the ‘movement across human corporeality and nonhuman nature’ (Alaimo 2010: 3). As Alaimo puts it, ‘the human body is never a rigidly enclosed, protected entity, but is vulnerable to the substances and flows of its environments’ (28). Moreover, at the forefront of this rap song is the matter of environmental injustice and inequality, the idea that the social exclusion to which the waste pickers are subjected also emanates in material disadvantage. This hints at a broader social situation raised by Prestes: that those who deplete the most resources, represented here by the inhabitants of the gated communities, are also (but only partially and superficially) protected from the ugly and potentially harmful waste produced by their consumption. Environmental damage, perversely, impacts disproportionately on the poor – those people excluded from the society of producers and consumers – who are least responsible for producing it. Cata as dores, however, is not just a passive reflection of socio-environmental injustice, but also a performative act of resistance. In its written version, two phrases stand out because they interrupt the flow of the poem through exclamatory caesurae: ‘But pay attention!’ and ‘So stop! Breathe in the fumes’ (22). The reader/listener is called upon to engage with the issues at stake not just cognitively (by ‘paying attention’ and thinking, by ‘stopping’ to reflect), but also experientially and sensually: to breathe in the fumes invokes the sense of smell, as well as that of taste; to ‘pay attention’ is both to see (the words on the page, but also the waste and catador they depict) and to listen (to the song and to the racket of the city’s traffic and car horns it describes). The reader, rather than remaining detached, is physically entangled in the poetic matter and material of the song. This sensorial invocation is reproduced in the cardboard cover of the book: the physical connection between reader, cardboard, and waste picker through the senses of sight, touch and smell brings the social barriers depicted in the song/poem crashing down. The cover, like the words inside, is a call for the reader to stop, to observe and to pay attention not only to the material object itself, but also to the context in which it was produced. It therefore supports the performative dimension of the book, its function as an advertisement for the cooperative and a call for various forms of citizen and governmental participation: for donations of recyclable materials (8); for locals to separate their waste into wet and dry materials, and to bring recyclables directly to the cooperative (24); and for the local government to recognise and support their work (27-8). The trans-corporeal flows between human body and non-human matter are therefore used as a tool by the catador-publishers to invoke the participation of the reader, as a call for action and collaboration. If the new materialists’ project is to draw attention to the vitality and quasi-agency of matter, to the ability of the more-than-human environment to produce social, political and economic effects, the aim of the catador-publishers of Cooperglicério is to affirm their social participation, to strengthen their collective identity, and to recycle their ‘wasted lives’. This brings us to an important problem, namely that we might be faced with an irreconcilable difference between full and empty belly sustainabilities, which correspond with Ramachandra Guha’s and Joan Martinez Alier’s ‘full-stomach’ and ‘empty-belly’ environmentalisms (1997, xxi). In order to address this problem, it will be useful to bring into dialogue Bennett’s reflections on waste and Alaimo’s take on sustainability with one of the texts from Catador which describes a ‘sustainable’ project that aims at once to recycle discarded (and potentially noxious) oil and to raise money. as I encountered these items, they shimmied back and forth between debris and thing – between, on the one hand, stuff to ignore, except insofar as it betokened human activity (the workman’s efforts, the litterer’s toss, the rat-poisoner’s success), and, on the other hand, stuff that commanded attention in its own right, as existents in excess of their association with human meanings, habits, or projects (Bennett 2010: 4). She depicts the effect of the rubbish on her, as she is repelled both physically by the dead rat and morally by the human action of littering. But she also becomes aware of the singularity and force of these waste objects, of their ‘ability to make things happen, to produce effects’ independently of human intervention (2010: 5). This vibrancy is then illustrated by a passage by Robert Sullivan, who portrays the garbage hills outside New York as live and lively assemblages: ‘the garbage hills are alive… there are billions of microscopic organisms thriving underground in dark, oxygen-free communities’, cells that ‘exhale huge underground plumes of carbon dioxide and of warm moist methane’ (cited in Bennett 2010: 6). Bennett no doubt chooses garbage as her first illustration of thing-power as it is the ultimate example of vital materialism, for even the discarded object – the object no longer seen as useful, and therefore at the bottom of the hierarchy of value – in fact has power and agency. The active power of waste materials is acknowledged in Catador in a contribution about a project called ‘Oil Here’, written by Áurea de Lima Cruz Barros, one of the organisers of the project and Development Manager at the Bandeirantes Health Institute in São Paulo. Launched in 2007 to set up a system for the collection of used vegetable oil for commercial re-sale, the project was a collaborative effort by the Cooperglicério and the Health Institute. Cruz Barros presents discarded cooking oil as a ‘polluting agent’ that can be seriously harmful to the local environment: ‘research shows that one litre of oil can pollute thousands of litres of water’ (17). The oil, once discarded, does not simply cease to exist, but rather continues to move, to invade other substances and to penetrate human bodies through water pollution. However, Cruz Barros’s emphasis – unlike that of Bennett – is on the fact that material agency can productively be utilised by a corresponding human agency. As she puts it, one of the aims of the project is to ‘contribut[e] to local sustainable development thanks to the creation of a mechanism that transforms a polluting agent into a financial resource. […] It is possible for us to turn environmental passives [‘passivos ambientais’] into local actives/resources [‘ativos/recursos locais’]’ (17). The oil – the ‘polluting agent’ – is valued in human terms, in the fact that it can be used as a ‘financial resource’: a good that can be sold for profit, to generate wealth. Cruz Barros encourages the reader or citizen to engage in a shift in thinking, allowing for so-called ‘environmental passives’ – waste objects that have been excluded from use and become devoid of purpose – to be transformed, through human intervention, into valuable materials. Again, this highlights the priority given to human needs, agency and power in this project. Another stated goal of the project is the ‘development of the role of the waste picker as environmental agents and people who bring a solution to the collection of this pollutant’ (17). Here, it is not the waste material but the waste picker who becomes the ‘environmental agent’. The ecological problem of waste and pollution, then, becomes an economic solution for the catador. Furthermore, the revaluing of waste is not only material and economic, but also social, since the ‘Oil Here’ project promotes a shift from waste picker to ‘environmental agent’. The collaboration thus helps fight against social exclusion, against ‘wasted lives’, by transforming (passive) rejects from the socio-economic system into (active) participants, or agents. Moreover, Cruz Barros emphasises the importance of the autonomy of these environmental agents: in charge of the whole process from contacting donators to reselling the product, they receive all the income from the enterprise, hence the ‘self-sustainability of the project’ (17). Sustainability, in this context, is cast in very human terms, in terms of economic self-sufficiency, and human effort and reward. Two key points become apparent here. Firstly, Katoppo underlines the fact that the concern with the ‘environment-in-itself’, the material world in its own right, cannot take place independently of an attention to basic human needs. As Bispo points out in Catador, these needs precede any discourse of sustainability: ‘before they started talking about sustainability there were already catadores here. It was a group of people who lived on the streets who got together, collected the material and had to sell it to make money to buy food, to allow their families to survive’ (14). At the heart of the Cooperglicério’s concept of sustainability is survival – their own, but also that of their families and community. They collect waste, as they put it, in order to ‘sustain/support [‘sostener’] our families’ (‘sustentar nossas familias’, 7). This is echoed later by Arivaldo, who insists that ‘there will always be someone working in recycling to get the benefits, to sustain/support [‘sostener’] themselves’ (13). Sustainability for the catadores means ‘to be able to carry on providing sustenance’, meeting their own basic needs and those of their children. More than an environmental challenge, it is a matter of human instinct, biology and finances. And as we have seen, the catadores, like Bauman and Katoppo, view survival as social as well as biological and economic: from the perspective of the poor, the problems of nutrition cannot be separated from those of social inclusion and collective identity; the interconnection of social and economic with ecological sustainability is (for all its problems) necessary. Part of the discourse of sustainability is and should be about human sustenance. Secondly, Katoppo brings to the fore the question of participation. As we have seen, the collaboration presented and reproduced in Catador proposes an alternative view to that which casts certain citizens as ‘objects’ of sustainable development, and others as ‘subjects’: what is emphasised and enacted in this collection is the coming-into-being of the catador as agent of sustainable socio-environmental development. This empowerment is a form of resistance against the phenomenon of wasted lives as perceived by Hauke Brunkhorst: ‘for those who fall outside the functional system [of employment], be it in India, Brazil or Africa […] all others soon become inaccessible. Their voice will no longer be heard, often they are literally struck dumb’ (Brunkhorst 2001: 233). One of the aims of the Cooperglicério and their ‘collective autobiography’ is to give the catadores a voice, to show that they each have different stories and singular experiences, whilst helping to solidify a collective identity. The material agency illustrated by ‘Oil Here’ therefore becomes a springboard for human activism. This brings us to Alaimo’s question: ‘is it possible to recast sustainability in such a way that it ceases to epitomise distancing epistemologies that render the world as resource for human use?’ (2012: 263) It is difficult to get around this problem without facing a division between a ‘sustainability of the poor’ and a ‘sustainability of the rich’. In a sense, the Catador collection does recast the sustainability discourse insofar as it implicitly dismantles its ‘three pillars’, undermining the clear differentiations between non-human and human upon which it has been built. From the perspective of the waste picker, material agencies are inextricable from human agencies, since recycling waste materials and urban wastelands simultaneously regenerates wasted lives. However, as Katoppo insists and the catadores in this collection imply, it is impossible to avoid seeing the world as a resource if one’s daily struggle is that of biological, economic and social survival. The subject (in both senses of the word) of sustainability is raised repeatedly in Catador. It is revealing that Bispo uses the impersonal form ‘se’ (‘Before they started talking about sustainability…’) (14), thereby casting sustainability as a discourse, a theory, an institutionalisation that emerged much later than the practices that it theorises, which stem from necessity: the waste pickers had to sell recyclable materials to make money, to buy food, to live. Another contribution in Catador by film-maker Evaldo Mocarzel highlights the fact that ‘public-sector’ sustainability has more recently been supplemented by ‘private-sector’ sustainability. He describes his documentary In the Margins of Waste as an attempt to ‘dignify the crucial work of the catador at a historical moment in which environmental awareness has become big business’ (10). This points to the fact that global brands like Coca-Cola, Walmart, Nestlé, McDonald’s and Nike ‘are defining sustainability and implementing it through their operations and supply chains to gain competitive advantages and increase sales and profits’ (Dauvergne & Lister 2013: 1). The point of the documentary (and the Catador collection in which it is referenced) is to take ownership over sustainable processes, to take the discourses from the clutches of big business and recast them from the perspective of a small cooperative. Catador therefore sheds light on the different components at work in so-called ‘sustainable processes’, from the biological experience of hunger to commercial strategies of marketing. It simultaneously presents and produces some of the agencies combined in the activities of discarding, collecting and transforming waste, wherein biological and natural agencies are compounded with social activism, economic activities and cultural acts. In its integration of social, artistic, economic and material processes, this collection is emblematic of the broader cartonera movement, which constitutes a celebration of the cardboard material with which the books are made, upon which a collective identity is built, thanks to which a readership is created, and through which lives are recycled. Yet unlike in Bennett’s account of thing-power, where discarded objects are viewed as things-in-themselves in all their singular vitality, the cardboard used by editoriales cartoneras is valued insofar as it serves a purpose for cardboard pickers and publishers, insofar as it is collected, cleaned, cut, decorated, stitched, bound, turned into a book, resold, ‘read’, passed on, and shared. The colourful cardboard covers, containers of literary materials, are therefore a celebration of human creativity, of the ways in which different resources can be used to produce new forms – forms of art, resistance and empowerment.